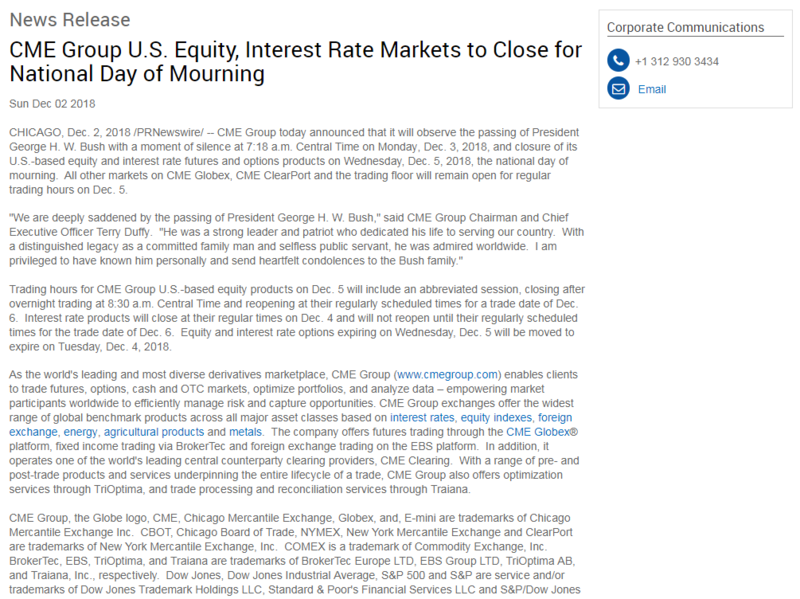 The markets will be closed on Wednesday December 5th as they will observe the passing of President George H. W. Bush. Please follow the link to the CME media page. Please refer to the latest market analysis for more details.